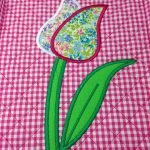 If you are wanting to start sewing, you will want to know how to get started with sewing, which is also a craft, by the way. 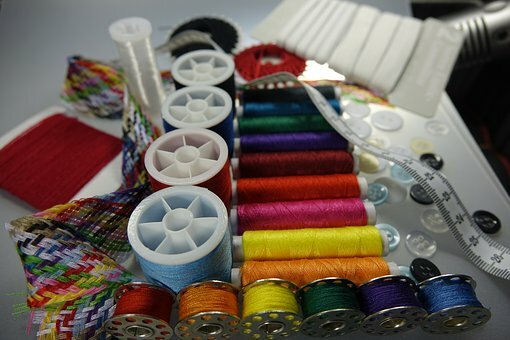 There are some things that you will need to have in your sewing kit before you begin. Like any other hobby, a successful sewing project starts with the right tools and a little knowledge of the craft. However, if you want to start off on the right foot, it is always good to be well prepared. Here is a checklist on how to get started with sewing. I have included links if you would like to make life easier for yourself and order online. Simply click on the pictures. You use a measuring tape to take your own measurements, to check the right measurements on patterns, and measure seam allowances on the material you are sewing. This is a must-have for any sewing kit. There are different types of tape measures but the most practical and easy way is the coated fabric tape measure. To keep the tape measure handy, try draping it around your neck. Have the eight-inch bent shears. Dressmaker shears are the most effective tools for cutting your fabric. These shears have one bent-angle and one straight blade, a rounded thumbhole, and for precise and comfortable cutting, an oblong finger hole. The bent angle blades provide a spot where your index finger can rest for long-cutting jobs. The bend on the shears blade stops you from lifting your fabric off the table. To keep those shears sharp, make sure only use them to cut out your patterns, and don’t let your kids use them to cut paper. These scissors are for trimming smaller areas. The blades of these types of scissors are straight, and they have round holes for the thumb and the finger. If your scissors don’t cut all the way to the blade tips, send them back. Wash-out pencils: These are also suitable for dark fabrics and can be erased with a drop of cold water. It looks similar to a regular pencil and the lead is white, pink or light blue. You will need pins to secure your pattern to the fabric and also to pin fabric parts together before sewing. Glass Headpins are the best because you can see them easily in the fabric and if you accidentally iron on them, they won’t melt like the plastic ones. It is also important that you have a safe place where you can keep your pins. Glass head pins are sold in convenient plastic boxes that serve as the pin holders. However, experts say wearing a wrist pincushion is very practical so that the pins stay wherever the sewer goes. Magnetic pincushions are also handy. Aside from pins, other metal objects like the seam ripper or small scissors can stick to the surface that is magnetized. When buying needles, it is best to buy a variety pack, as you will get a variety of sizes that you can use for most hand sewing projects. Also, make sure that you have spare needles for your sewing machine. This is an essential part of any sewing kit as it makes pulling out stitches a breeze if you need to unpick anything. So if you want to know how to get started with sewing, it is very important that you have the right tools for the job. 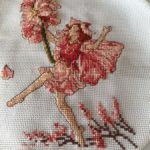 The next step would be to find a good sewing teacher who can set you up on the right path to sewing success. So there you have it – how to get started with sewing in a nutshell. If you are interested in embroidery machines, click here.